He has attained the L.L.B. (Bachelor of Law) from the University of Ghana and his B.L. at the Law School along with two ministerial degrees: the M.Div. (Master of Divinity) from Southwestern Baptist Seminary in Fort Worth, Texas (USA) and the D.Min. (Doctorate of Ministry) which he received in December 2003 from Asbury Theological Seminary in Wilmore, Kentucky (USA). Rev. Dr. Deegbe has served in a number of pastoral and ministerial capacities that include working as the Assistant Pastor at Calvary Baptist Church from 1980 to 1983, as a Chaplain at Baylor University Medical Centre from 1985 to 1988 in Dallas, Texas (USA), as a Lecturer at Ghana Baptist Seminary from 1989 to 1991, as the Senior Pastor of New Tafo Baptist Church, Kumasi, Ghana from 1989 to 1991. He was appointed Senior Pastor of the Calvary Baptist Church in 1991. He also served on the following National Boards: Ghana AIDS Commission, Ghana Anti Corruption Coalition, Coalition of Domestic Election Observers, National Media Commission, Narcotics Control Board, All Africa Conference of Churches, Fellowship of Christian Councils in West Africa among others. He is currently the Chairman of the Board of the Ghana Baptist Convention. 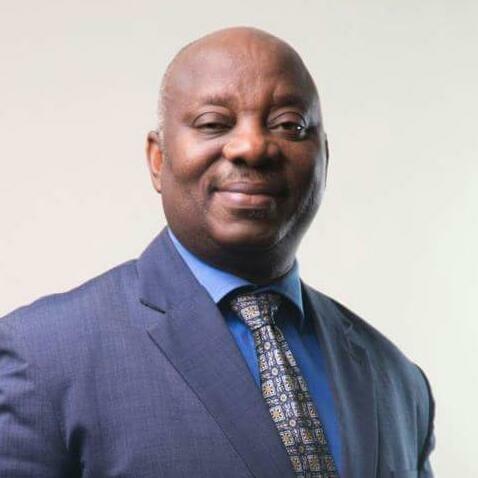 He also chairs the boards of Christian Community Mutual Fund and a board member of Christian Community Microfinance Limited. Rev. Dr. Fred Deegbe is happily married to Joana. They are blessed with three children.